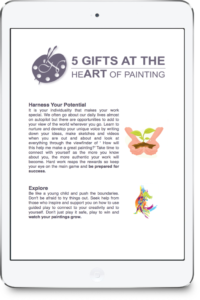 You love to paint – Do you want to grow as an Artist? Do you feel you want to progress your work to the next level? Now is the time to take action, step into the flow and realise your vision. I create paintings that reflect the beauty of Nature. Through my work I share my experiences and observations with the use of Watermedia, Oil and Cold Wax. Over the years I have sucessfully managed to build a sustainable Art Practice by seeking creative ways to work as an artist. Choosing your methods for self expression can be daunting but let me help you find your voice through one of my Workshops or Private Online Coaching Sessions. 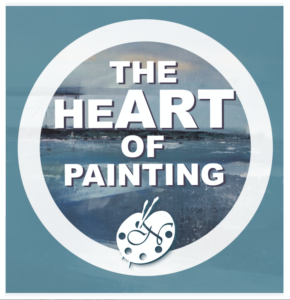 II hope to get to know you as painters and share some of the discoveries I have made on my painting journey. 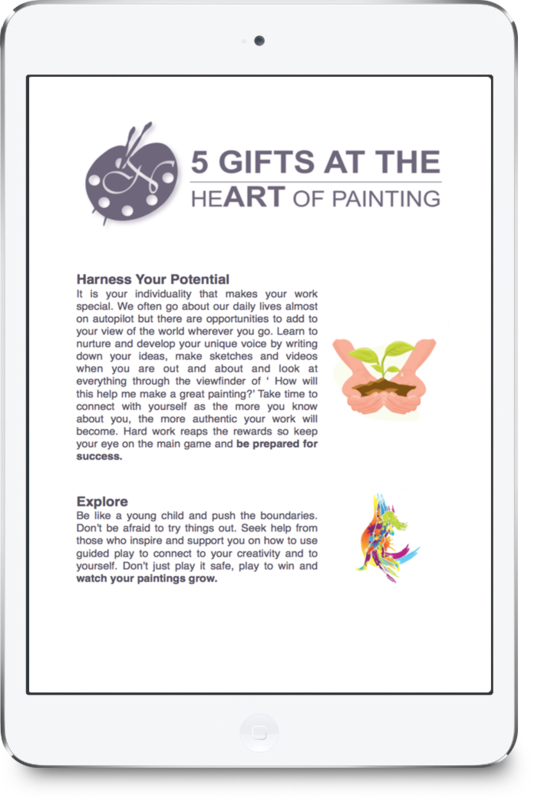 Five gifts at the heART of Painting – one for each finger and easy to remember when you are working in your painting space, print these out and place them on your wall.